Over 3 million workers left their jobs by choice in July 2016. 40% of employees say they would consider returning to a company where they previously worked. 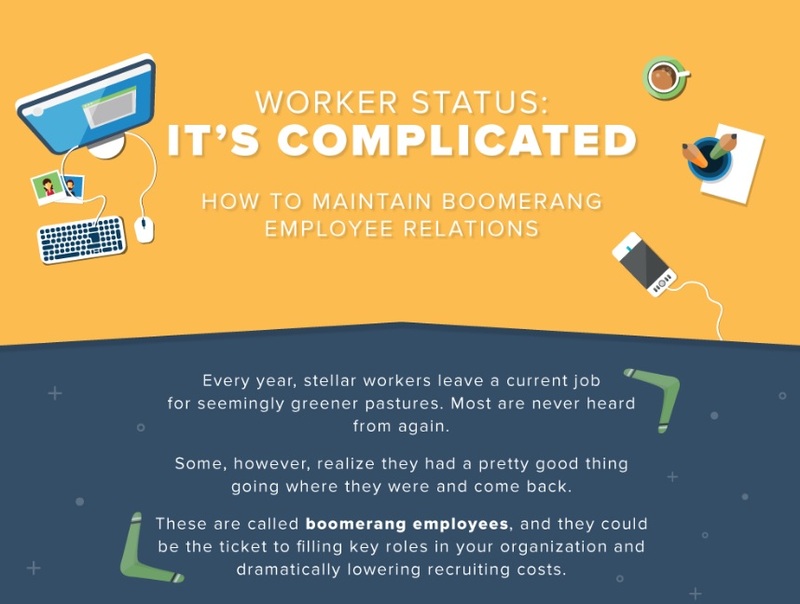 76% of HR professionals say they are more likely to hire boomerang employees now than in the past. 80% of employees say former employers do not have a strategy in place to encourage their return.